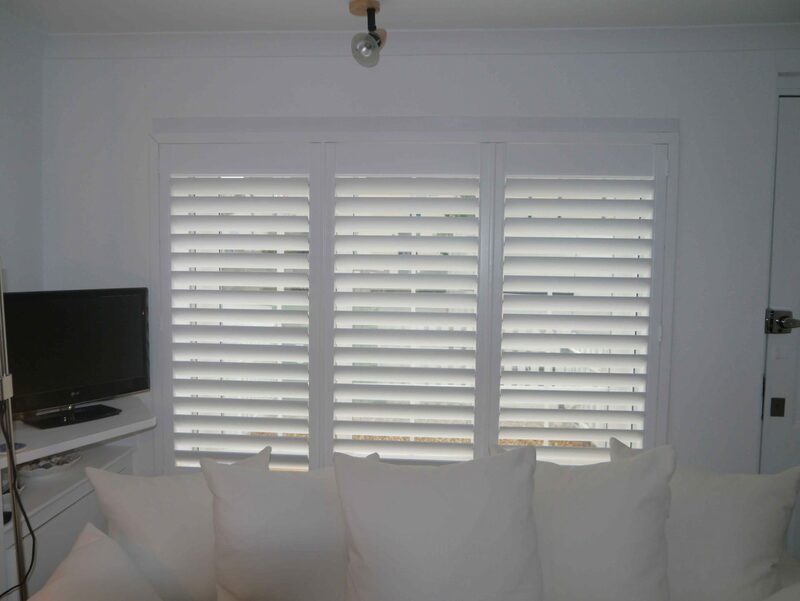 Our client has a beautiful Victoria cottage and wanted to finish off her newly renovated living space with shutters that would also provide more privacy from the street. 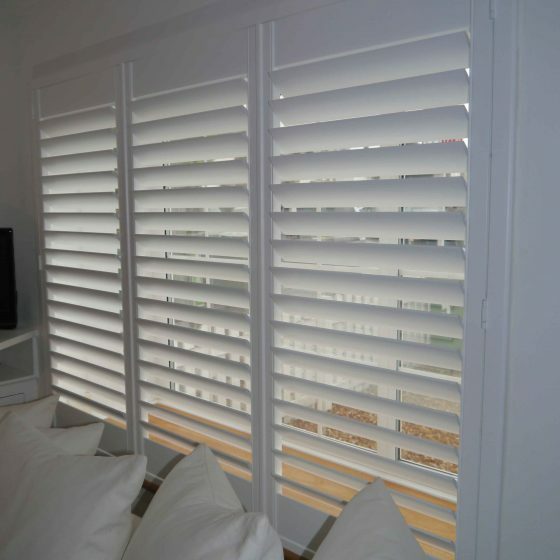 We fitted a full height shutter into a bay. 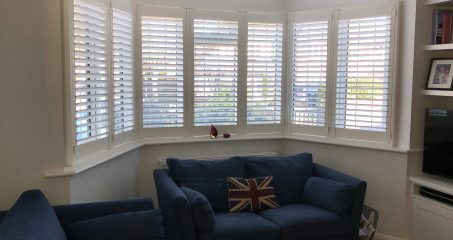 We fitted the shutters onto the outside of the bay, so there was still space behind the shutters to put a vase of flowers into the window. 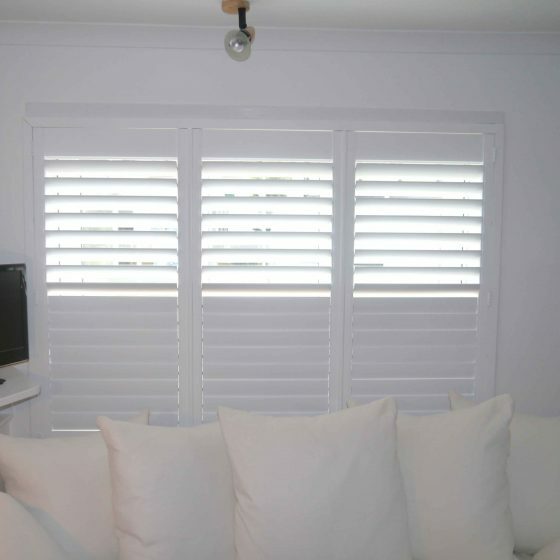 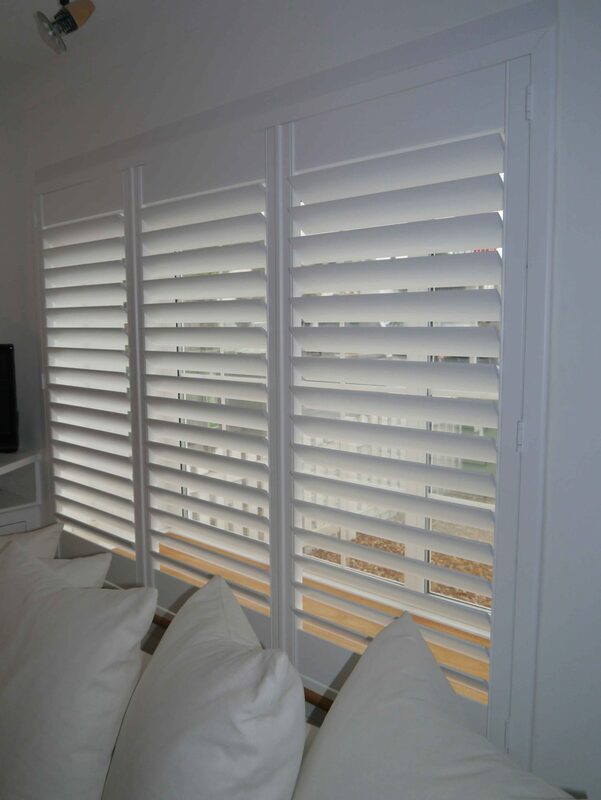 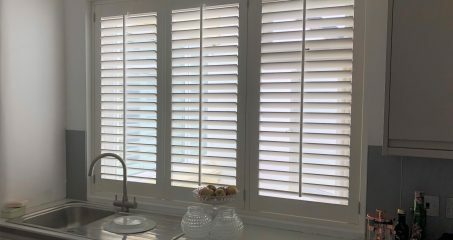 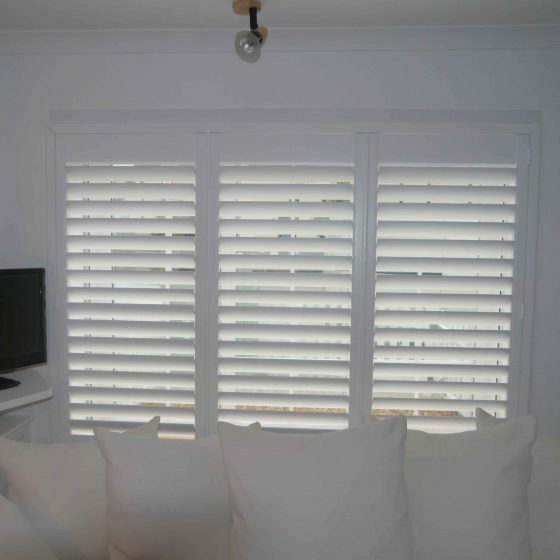 We made the shutters from our high quality MDF, Bermuda range. 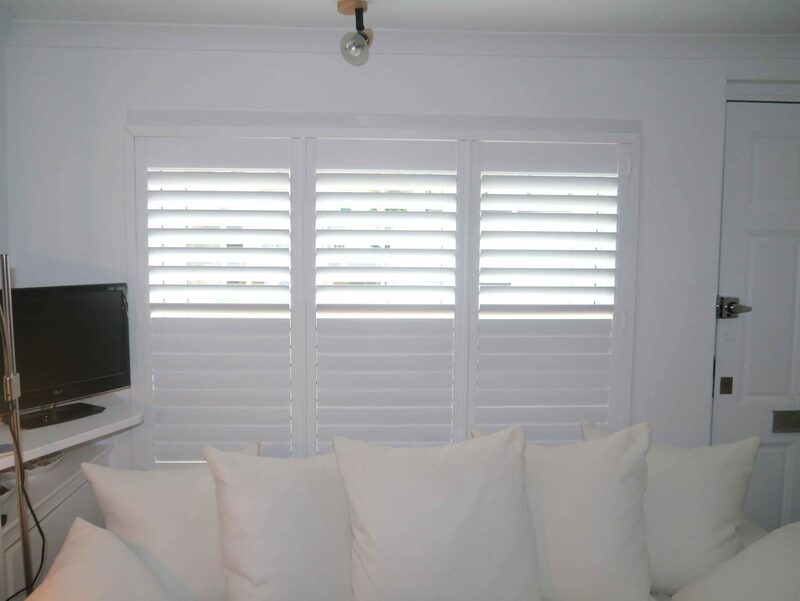 We used a larger louvre size of 76mm to give a more contemporary feel to the room and to allow the maximum amount of light in.